AUSTRALIAN OPEN ’19: What happens to tennis when 2 GOATS go? There they were, trying to return each other’s sublime serves during a mixed doubles match, then kidding around and showering mutual admiration on each other during a joint interview, before posing for a selfieseen ’round the world. A fan’s dream. A promoter’s, too. Also, potentially, a scary moment for tennis. Williams, owner of a professional-era-record 23 Grand Slam singles titles, and Federer, owner of a men’s-record 20, are both 37 years old, both parents and both far closer to the ends of their careers than anyone with a stake in the sport would care to think about. 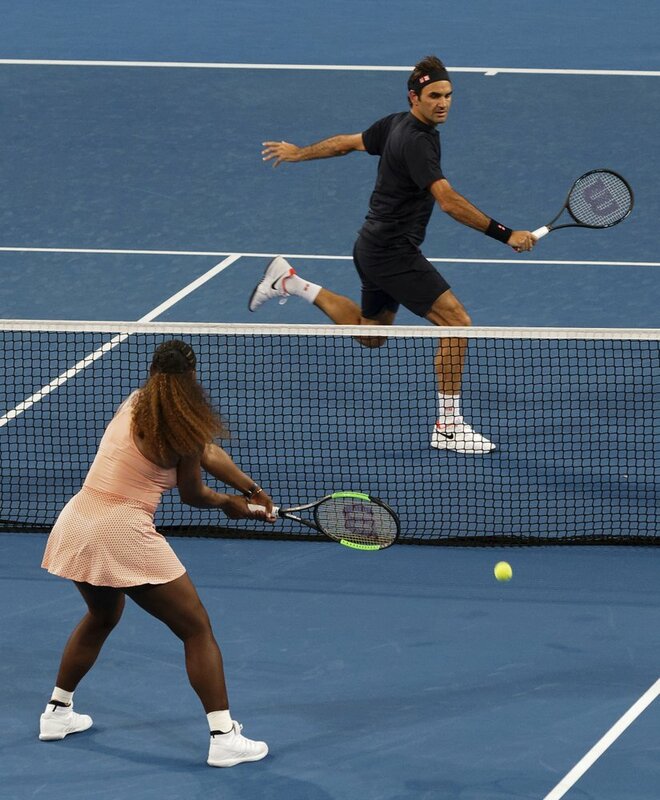 And so the whole scene on New Year’s Day at the Hopman Cup raised a key question, one that will be a backdrop at the Australian Open when play begins in Melbourne on Monday: What will happen to tennis when these two GOATS (“Greatest of All Time”) are gone? That’s not all that likely. It’s become a popular parlor game to try to point to which players in their 20s now will fill the gap whenever it is that these two superstars move on. Among the names bandied about these days are Naomi Osaka, Sloane Stephens and Jelena Ostapenko among the women, and Alexander Zverev, Sefanos Tsitsipas and Denis Shapovalov among the men. That group of a half-dozen owns a total of three Grand Slam titles so far (one each for the trio of women). There are those, such as ATP Executive Chairman Chris Kermode and WTA CEO Steve Simon, who acknowledge that Federer and Williams are, as Simon put it, “very special,” but also believe tennis can survive their eventual and inevitable departures. Federer and Williams have built up reservoirs of success on the court and good will off it over nearly two decades: Williams’ first Grand Slam title came in 1999; Federer’s first arrived in 2003. While Federer has managed to avoid any sort of real controversy at all — “His contributions have been immense both in terms of captivating audiences worldwide on the court, as well as leading by example away from the court,” Kermode said — Williams most recently faced backlash after a mid-match flare-up during a loss to Osaka in the U.S. Open final last September. The Australian Open will be Williams’ first real tournament since that outburst, which led to her being docked a game by the chair umpire and fined $17,000 by the U.S. Tennis Association, so it will be fascinating to see how things play out in Melbourne, where she has won seven titles. What everyone seems to be able to agree on is that whenever Williams and Federer — a six-time champion at the Australian Open, including in 2017 and 2018 — do decide to walk away, their imprints will be lasting ones.